The simple addition of a tie to your pilot uniform can add class, sophistication, and style. 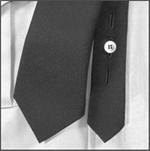 GarffShirts.com understands the subtle power of a tie, and that is why we stock a full selection of pilot ties. Garff Shirts is the leading supplier of pilot and flight attendant uniforms around, and we strive to maintain a full inventory of pilot and flight attendant supplies. Our selection of uniform ties is top notch, featuring high quality ties from notable brands like Van Heusen and Uniform Cravats. Each one of the ties at Garff Shirts reflects both the timeless fashion and current styles of neckwear. 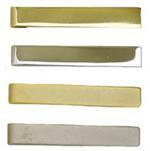 If you often run on a tight schedule, take a look at our selection of clip-on ties. These ties are made to secure easily and with speed to the front of your shirt. For women, we have stylish crossover ties, allowing you to put a personal spin on traditional neckties. Whatever you are looking for, we have it at GarffShirts.com! 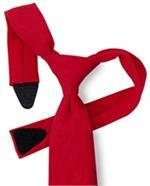 Uniform Crevats is the leader in Uniform Neck Ties. The safety of clip on ties releasing if it catching on something, the ease and professional appearance of a zipper tie and the womens cross over ties make their uniform ties complete. The most common uniform colors are black and dark navy. Other colors are available upon special ordering. Please contact us to place those orders.